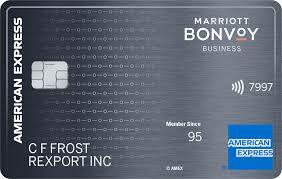 American Express has co-branded Marriott and Hilton credit cards that offer free anniversary night certificates. We consider these “keeper” cards because if you play your cards right, you can get positive expected value from them each year. Which Amex hotel card should you get? I recommend looking at American Express hotel keeper cards independent of the Chase keeper card setup due to the Chase 5/24 rule. Each Chase slot is worth $500-$1,000 in travel, so the optimal strategy would be to get the Chase cards you want first, then move on to Amex. In this post, we’ll cover long-term keeper cards and potential ones. The following cards are keeper ones since they offer a free anniversary night each cardmember year. Potential keeper cards are ones that have a minimum spend requirement to earn a free night. These cards are ideal for people who can spend $15,000 in a cardmember year. The chart below outlines a comparison of the Amex hotel cards based on key features, spend multipliers, status, and anniversary night. The second sheet has our overall grading score of the cards. All of the hotel keeper cards have an annual fee ranging from $95-$450, not waived the first year. Both cards have a $450 annual fee, but they come with a hotel statement credit to offset the fee. The Hilton Aspire is overpowering because it also comes with a $250 airline incidental fee. If you can utilize all the statement credits, you’ll come out ahead by $50. Each hotel keeper card comes with a free anniversary night each year, but the redemption value varies based on the card you have. Sort the results by points required to see if the property falls into your respective redemption rate. The Hilton free weekend night certificate is valid at any property that’s not listed on their excluded list. Keep in mind that you’ll also have to check for availability for the free weekend night. Each keeper card has high spend multipliers, but it’s important to keep in mind that Hilton and Marriott points are not equal point currencies. The value of the points varies based on where you plan to redeem them. 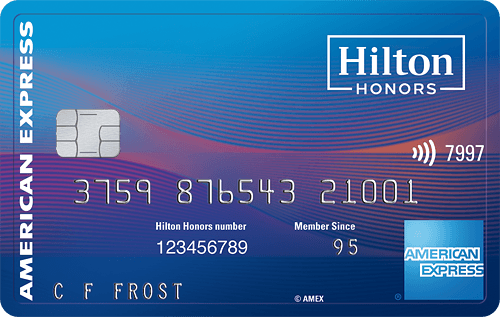 For everyday expenses like U.S. restaurants and U.S. gas stations, the Marriott Bonvoy Business (4X) and the Hilton Business (6X) cards have higher spend multipliers. These cards would be ideal as a daily driver to earn points. All of the keeper cards offer a base status, but the one that stands out is the Hilton Aspire since it offers automatic Diamond Status. Status boost via high spend per cardmember year is available, but it’s not worth it in most cases. If you have the Amex Platinum card, you’ll automatically earn Gold status at Marriott and Hilton. The Marriott cards come with 15 night credits that count towards status, but you cannot stack them if you have more than one Marriott card. The Marriott Bonvoy Brillant and the Hilton Aspire card both come with an unlimited use Priority Pass benefit, and you can bring up to 2 guests. The Hilton Ascend and Hilton Business cards give you 10 complimentary Priority Pass visits. The Marriott Bonvoy Brilliant is the only card on the list that offers $100 Global Entry or TSA PreCheck credit every 4 years. Grades for the cards are based on the analysis of benefits and how it compares to other keeper cards. The highlighted cells indicate the key features of the card.